This first signs of spring are showing up…seed catalogues! 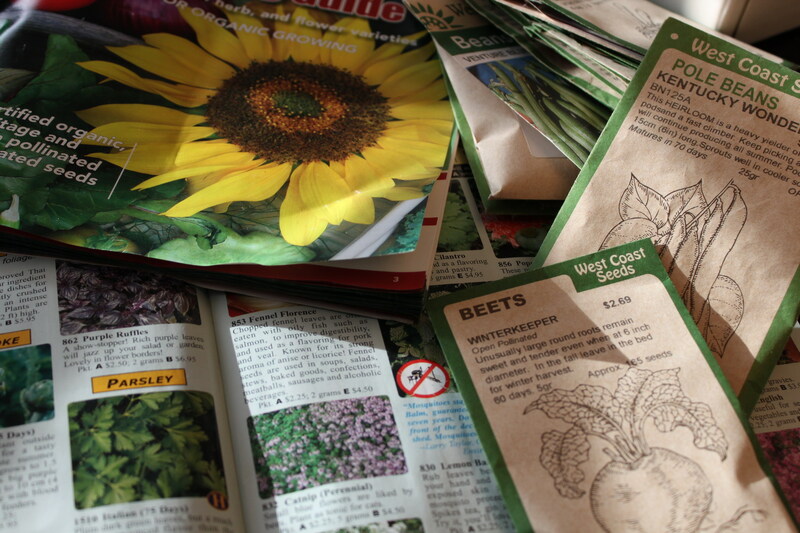 There is nothing better on a winter day than flipping though seed catalogues and starting the planning for spring. 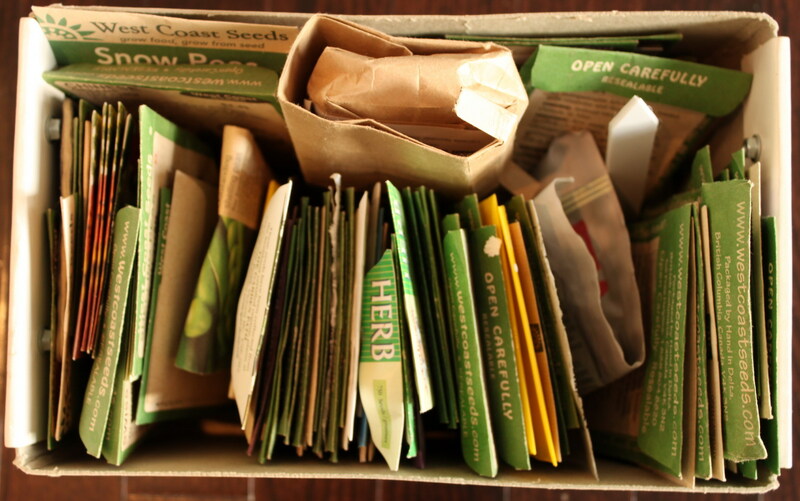 Even though most seeds don’t ship till February or March, I always order seeds in January it seems a bit early but there is not much going on in the garden otherwise so it’s a good time to dedicate an evening to sorting out the “seed box” and determining what I am going to invest in growing. The other incentive to ordering seeds super early is it avoids disappointment from “sell outs”. Finding great seed sources has been one of the hardest parts of growing an “unusual” not your typical grocery store isle kind of home garden. These are my favorite places for seeds and a few things I am looking forward to growing this year. Seeds of Victoria: They have the best ever perennial evergreen bunching onions and small leaf perpetual spinach I grow both love them. T&T Seeds: fantastic selection of hard to find root stock plant Saskatoon berry, bush cherries, purple asparagus just to name a few. I can’t wait to try to bush cherry this sounds like such a fun solution for a small garden. William Dam: I love their huge selection of flowering kales and cabbages. I am trying salsify, I am not even sure what it is or how to use, and red orca looks stunning and interesting. This entry was posted in edibles, Ornamentals, Perennial Edibles and tagged seeds. Bookmark the permalink.